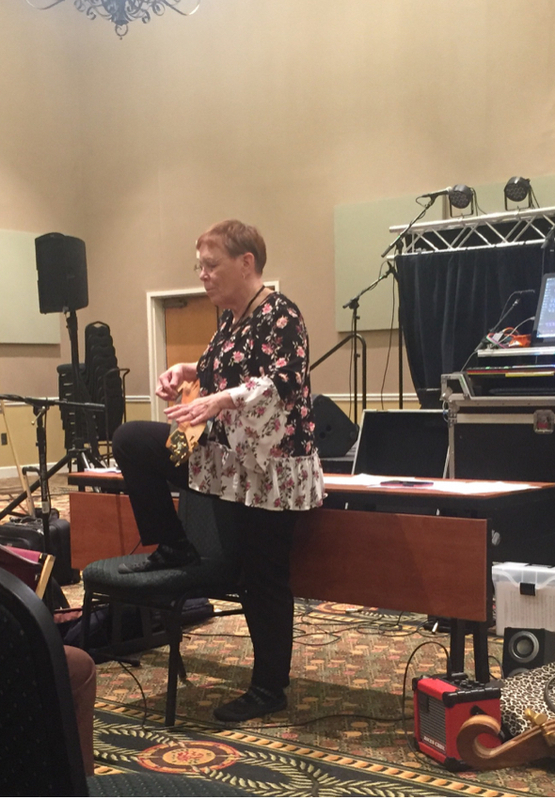 I started my day with classes on flat picking and fingerpicking with Judy House and Linda Brockinton in the first two sessions of the day. The session in the afternoon was with Jeff Furman working on hammer-ons and pull-offs as well as smoothing our playing with chords. It was so exciting when something clicked and “the lightbulb came on in my head”. Of course, looking and shopping in the booths is a special treat between sessions.